Languages Spoken: Greek as the official language, regional dialects and languages account for other variants. Consistently admired as one of Greece's most alluring beaches, her pristinely clear shimmering water and white sands seduce all who dare visit. This stunning location is a frequent spot for destination weddings and is located nearly as far south as Greece gets. A must for the exotic destination wedding and perfect pre-wedding photo opportunity. Glykeria offers what is considered the best hotel nearest to Elafonisi. Visit their website at http://www.glykeria.com/ for more information. Breathtakingly beautiful Sani Resort facilitates venues for destination wedding ceremonies in Kassandria, Greece. A civil ceremony has never been made easier with the resort facilitating the process by use of a wedding planner. If spas, yachting, cuisine, and coastal activities are your idea of a romantic getaway, then Sani Resort is perfect for your Greek destination wedding. Visit their website at http://www.sani-resort.com/en_GB for more information. Imagine a coast of white Grecian villas contrasting brilliantly over the blue Aegean Sea. Santorini Island is a hotbed of destination wedding couples from all around the world. It's the epitome of the Greek aesthetic. Kastelli Resort provides luxurious beachside suites with impeccable views. Kastelli Resort facilitates your wedding to any desired location you wish the ceremony to take place. Visit http://www.kastelliresort.com/ for more information. If wedding packages and Athens is more of your niche, Grand Resort Lagonissi offers it all. 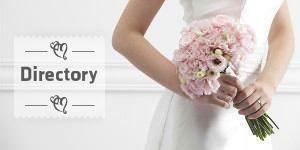 Relax as your wedding planner facilitates your ceremony. Take advantage of your location by taking a short drive over to the epitome of Athens, the 2500 year old Acropolis. Then head over to O Thanassis, known for the best street food in Athens. Visit Grand Resort Lagonissi's website at http://www.lagonissiresort.gr for more information. Decadent and historic, Achillon Palace offers wedding packages in the stunning island of Corfu. This historical palace was the residence of Empress Elisabeth of Austria. While in Corfu, take advantage of some of the world's top rated beaches and historical sites. Visit Achillion Palace's website at http://www.achillion-corfu.gr for a virtual tour as well as more information. Kefalonia is argued to be one of Greece's most beautiful islands. Allow a guide to give you and your loved one a special boat tour of the illuminating Melissani Lake. Afterwards why not go Bavarian Horse Riding? Thalassa Hotel provides wedding facilities to make your Greek experience one to remember. Visit http://www.thalassahotel.gr for more information. With so many stunning islands to choose from, Mykonos is among the fairest of them all. Known for its fantastic nightlife and Little Venice, Mykonos has so much to offer to you. Mykonos Grand provides services to make your ceremony one to remember. Inclusive of its own chapel, packages and luxurious hotel suites are available for this special time. Visit http://www.mykonosgrand.gr for more information. This Greek island is one of Greece's most immaculate historical and architectural sites. Scattered with ancient remains, a trip to Delos would be nothing without seeing such landmarks as the House of Dionysos, Heraion, and the Sacred Way. Delos is a short distance from Mykonos which offers plenty of venues, such as Saint John Mykonos. Greece is basked in glorious sun for nearly two thirds of the year. Greece's Mediterranean climate varies among Northern and Southern Greece. A northern city such as Thessaloniki can be as low as 2°C (36°F) and as warm as 14°C (57°F) in the winter during the months of December to February. The summer in Northern Greece tends to have highs around 31°C (88°F) and lows of 17°C (63°F) around the months of June to August. Southern Greece is notoriously warmer than its northern counterpart all year long. For instance, Athens in the winter during December to January rarely falls below 9°C (48°F) and has highs of 18°C (64°F). The summer can be hot in July and occasionally goes above 32°C (90°F), with lows extending down to 22°C (72°F). Northern Greece exhibits mild and sunny summers around June to August. Precipitation increases as the winter nears, with November as the rainiest month. Northern Greece averages about 9 hours of sunshine in the winter per day during December to February. Contrastingly, the summers of Northern Greece get about 13 hours of sunshine per day in June. Southern Greece experiences rainfall in the winter with December as its wettest month. Athens experiences 3-4 hours of sunlight a day during late autumn to winter from November to February. Generally the late spring and summer of Southern Greece has upwards of 10 hours of sunshine per day during May to July. Γειά σας (Yiá sas) Good bye! Πώς είσαι; (pos íse?) How are you? Μιλάτε αγγλικά;? (Miláte angliká?) Do you speak English? Πώς σε λένε; (pós se léne?) What's your name? Πώς λές … στα Ελληνικά; (Pos les … sta Elliniká?) How do you say ___ in Greek? Greeks frequently greet each other by shaking hands or kissing both cheeks, depending on the situation. Foreigners might have trouble grasping some of the etiquette in Greece. It's considered rude to shake the head in agreement. Also, in Greece, an up-down movement indicates "no" while side-to-side is "yes". An open palm near an individual's face can also be quite offensive. When dining in Greece, the bill is usually not brought out until it's requested. Often a service charge will be included in the bill. Tipping is subjective and if service was good, it's recommended to give a tip. For the non-Greek, in some contexts tipping is somewhat expected. Greece is surrounded by the sea, so it's no surprise that seafood makes up a huge component of the Greek diet. Octopus, squid, sardines, mackerel, shrimp, mussels and lobster are some of the main courses you’ll see offered in Greece, and usually fried or baked in olive oil. Greeks are avid consumers of olive oil and will generally incorporate it into many foods. Coffee culture is a large part of the Greek lifestyle and it's typically consumed for breakfast. Other Greek breakfasts include tyropita (phyllo pastry with cheese stuffing), yogurt with honey, cheese, bread, and olives. Typical appetizers found in Greece include spanokopita (spinach pie), dolmas (grape leaves stuffed with rice), saganaki (fried cheese), tzatziki (cucumber yogurt dip), and taramosalata (caviar dip). Common main courses include moussaka (layered eggplant, meat, and cheese), souvlaki (kebab), kleftiko (lamb). Street food establishments that serve Greek favorites such as gyro are very common among the locals. In Greece it's not uncommon to have dinner around 11pm., and local tavernas will stay open until about 2am. Prior to the introduction of the Euro in 2002, Greece used the Drachma as it's official currency. The Euro (EUR) is now Greece's official currency. Current conversion rates are about 1.35 US Dollars per 1 Euro. The cost of your destination wedding in Greece will vary greatly depending on the location, services, duration, amount of guests, and excursions. Airfare should be taken into consideration and will vary depending on your location, with rates inflating during tourist season. Also, if you plan on hopping around islands, you can take either a short flight or a ferry. These flights should generally cost less than 75 €. Greece's Mediterranean coast makes yachting an attractive but also expensive option, running about 350 €/week per person. More guests will increase the cost dramatically. Rent can be minimized or even nulled if guests are kept to a minimum. A destination wedding in Greece on a budget with around 40-80 guests can be around 5-7,000 € (excluding airfare). However, more decadent weddings can be upwards of 13,000 €. The following notes are not comprehensive and are intended as a guide only. Before planning your wedding in Greece we strongly advise you to contact the Greek embassy in your home country or your country's embassy in Greece to obtain up-to-date legal requirements. 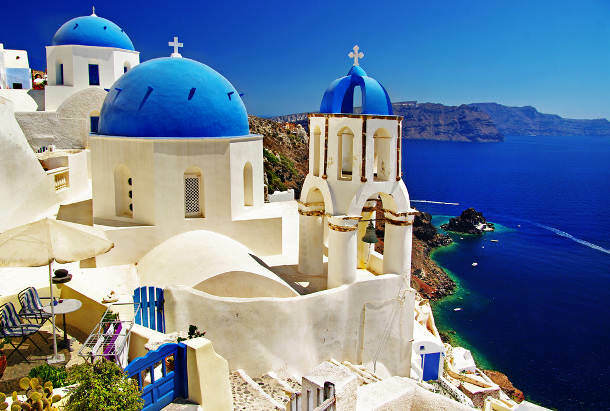 Greece does not have any residency requirements for those planning on a destination wedding in Greece, but the process can take up to multiple weeks. If either couple is Greek, a residence permit must be in possession for marriage to take place. A notice of the intent to marry is required to be posted in the local newspaper of the location which the couple desires to wed. The city hall can also perform this task if a newspaper is not published in the desired location. Once the intent to marry has been completed, you're permitted for a civil marriage license after seven days. If going through a civil ceremony, two witnesses will be required. At least one witness will need to act as a translator if neither couple speaks Greek. The witnesses will need a passport or necessary identification. To obtain the marriage certificate, the couple has up to 40 days to file documentation at the Office of Vital Statistics in the location where the ceremony occurred. Religious ceremonies are more daunting of a process but can still be performed. Generally, depending on faith, certificates must be presented. For the Roman Catholic faith these include certification of baptism, confirmation, and freedom to marry. If marrying as non-Greeks, banns don't need to be posted at the local town clerk. It's recommended that you contact your priest or rabbi for additional help and contacting a Greek religious official to perform the ceremony. Find out more about the Regions of Greece or browse our Greek Wedding Directory to start planning your dream wedding.